Q3 is proving to be a strong quarter with an increase in enterprise bookings. We have also extended our team and will be announcing our Summer release with advanced integration capabilities and supervisor tools later this month. Bright Pattern today announces their top ranking among leading contact center software vendors by GetApp, recently acquired by Gartner. 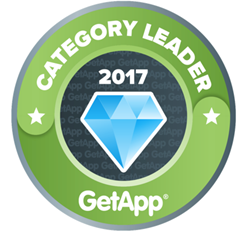 GetApp recognizes vendors excelling in areas such as integration capability, influence on the industry, customer satisfaction, and ability to support global enterprise security and reliability needs. Bright Pattern had a very strong showing in the rankings, finishing ahead of top competitors inContact, Five9, Talkdesk and Genesys. Bright Pattern achieved top ranking due to numerous customer testimonials promoting its product innovation, platform reliability and superior onboarding and support. Bright Pattern’s cloud contact center software simplifies omnichannel customer service for customers, agents and contact center managers. Bright Pattern’s Cloud Contact Center solutions are used globally in over 26 countries and 12 languages by companies of all sizes.